The miles world received some unsettling news recently. I’ve been mulling it over myself since I read about it, waiting to see if any further information was published or insight gained from others’ experiences. And now we have some. While the overarching news is not great, how Amex’s new loose eligibility terms will play out in practice is not as bad as first anticipated. You should already be familiar with the first line of the screenshot. It’s what we all refer to as Amex’s “once in a lifetime rule”, a lifetime being on average around seven years. That seems to be about when an old card drops off of Amex’s radar. It’s the highlighted line that’s unsettling. The sentence is a big, gray, ambiguous hole that gives Amex a lot of wiggle room, and leaves the applicant in the dark as far as being able to tell whether or not they would actually earn a bonus they are spending towards. This change to Amex’s terms inspired fear of not only hard credit pulls in vain, but even more frustrating, the possibility of opening a card and spending on it hopes of receiving a bonus to no avail. While we don’t yet know what kind of criteria Amex will base one’s ineligibility on–only shared data points over time will shed light on that–we will at least have an eject button to press before any lasting damage is done to our credit score or return on spending. Underneath were two button options to either continue and submit, or cancel application. He chose to cancel the application*. An Award Travel reader also received a pop-up mid-application for a Hilton Honors Ascend card. He had never held a Ascend card nor a Surpass card in the past. So not only will be warned of ineligibility due to the once-in-a-lifetime rule (Gary Leff’s pop-up), we will also be warned if Amex considers us ineligible due to their new gray-area rule (too many cards opened/closed, or “other factors”). These pop-up warnings are a big silver lining in my opinion. Amex is choosing to be vague with language like “other factors” and “too many”. But the ability to escape credit checks and spending for bonuses we won’t get takes the angst-ridden guesswork out of the process. I’m not naïve enough to think these pop-ups were meant to assuage our churners’. 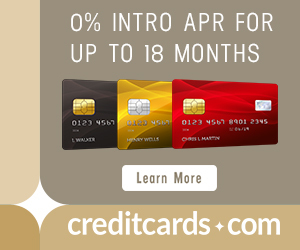 Amex’s incentive to include them seems obvious: to specifically rake in more customers. Otherwise the new language would have deterred many risk-averse people. *Gary noted that while he chose to cancel his Amex Platinum application, he received an application under review response nonetheless. It’s unclear whether or not a hard credit check was actually performed despite his choice to cancel, but it is clear the new system is not bug-proof yet. While looser terms like the highlighted sentence above do not exactly scream customer appreciation, obviously the action is not too surprising. For a while now, more so than other credit card issuing banks, Amex has has been known to shut down accounts of those they consider to be taking advantage of the system. While the addition of this language seems more like a scare tactic to me due to ambiguity, I’m sure it will come around to bite some in the a$$. High level manufactured spending is not my game. I spend an average of 9 months outside the United States, for one, but even if I spent more time in the US, I doubt I would partake. I just don’t consider it worth my time. I earn plenty of miles and points from sign up bonuses, taking advantage of category bonuses, promotions, etc. to fuel a rather transient lifestyle. But then again, I never spend rewards for premium cabins on short flights, and occasionally I’ll take economy flights between North and South America because, understandably, my Boston Terrier isn’t allowed in Business Class. That being said, I know it a lot of people do play that game. MS is what we hear about the most in regards to controversy with/shut downs of Amex cards, so I would guess (probably in somewhat wishful thinking for myself) that these new terms are aimed at frightening those that manufacture a significant of Amex points. I imagine also that Amex is looking at customers who fly through Amex cards, canceling not long after earning a bonus, due to the mention of closing cards as well as opening them. Alas, only time will tell. At least we are being warned to turn back before jumping off the plank for no reason. No other bank I’m aware of has ever given us that luxury. 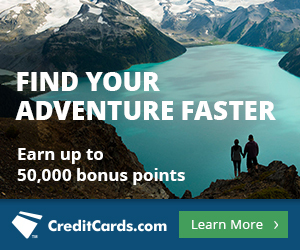 Amex has added a new line to many of their reward-earning credit card applications: “We may also consider the number of American Express cards you have opened or closed as well as other factors in making a decision on your welcome offer eligibility.” Time and data points should help us clarify this arbitrary addition to the terms, much like the Chase 5/24 rule was hammered out after enough people reported on their personal experiences. In the meantime, at least, it looks like Amex is giving those of us they consider ineligible an out before haphazardly opening and spending on their cards. I hope this isn’t a feature they’re just testing and that it sticks around as it takes risk out of the equation. If you apply for American Express cards in the near future, please share your results with us in the comments so as a community we can begin to illuminate the new eligibility criteria. Next articleSPG Point Sale Extended through July 20: Buy for Major Discounts in August! Alas, the card issuer with the most straight forward, cut and dried rule for bonus illegibility is no longer so cut nor dried. The worst part (until the community gathers more DPs) is that it’s one of those variable risk things where there’s no clear answer on how many is too many. It sure used to be easy to help people figure out what card to get next. Now it takes a page worth of equations and IF/THEN/NOT logic functions! Tell me about it! That’s why I offer free credit card consultations… so you don’t have to spend time figuring it out. Not that I will be able to tell much re Amex cards for a while (aside from what we already know from once in a lifetime and the limit of charge and credit cards you can have at one time). The pop-up alert and option covers that, and it’s a net positive for us in terms of the already existing once in a lifetime rule, since we often are not sure whether or not we have had the same card, another version of the card that counts or doesn’t count as the same card, a card so long ago it’s out of the system – it brings some improved clarity to the process. Yes, that’s a good point as well re legality. I imagine it’s a combination of both factors as to why they implemented the pop-ups. And I agree, certainly better to have clarity rather than uncertainty for once in a lifetime rule. They essentially are taking the work out of that step of the process for us. I’m a dinosaur (raar! ), when did Amex start doing hard pulls for declines?